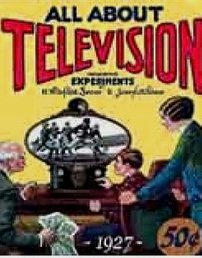 some information on some of the articles on early TV. doesn't display anything that one probably wouldn't already know. HDTV, but not up to today. There are no pictures but there are links on each topic. information/FAQ on how to become a TV writer, along with some suggestions for books to buy. agent and where to look for a job. It doesn't have much in the way of pay range or how things typically go. that are somehow connected to Studio audiences. It has no history to speak off. But it could be a valuable site for someone looking to get into the business, particularly at NBC. (For the job, go to http://www.mandy.com/ and enter guest for both username and password).